Extending and preserving the harvest is the goal of every gardener. But, to have a preserved Cucumber (Pickle) decades later is truely amazing. 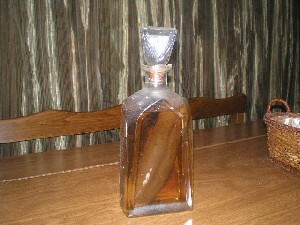 Cucumber in a Bottle - An amazing story about a cucumber grown and preserved in a bottle, then forgotten for decades.